The mind’s power should not be underestimated in any way, and while we are still some ways off from the standard issue mind controlled computer (mouse and keyboard manufacturers would certainly loathe such an idea, as they would no longer have the relevant wares to sell to computer users), here is something that might just pique your interest. I am talking about the $129.95 Mind Controlled Movie Director which will allow you, the wearer, to be able to directly influence the course of specially created movies and games. You will need to have the right dose of concentration and relaxation of course, and during some of the more crucial moments to achieve an action, you are required to blink your eyes. Basically, you have the power to choose, and this is like a modern day “Choose Your Own Adventure” series, where you can select who lives and dies, or whether the hero ends up victorious or loses, or even how close an arrow will fly towards the bullseye. The headset relies on electroencephalogram technology in order to detect the electric signals that are generated by the brain. The more you master your mind control, you are able to change plotlines and choose new endings in each of the four included movies. 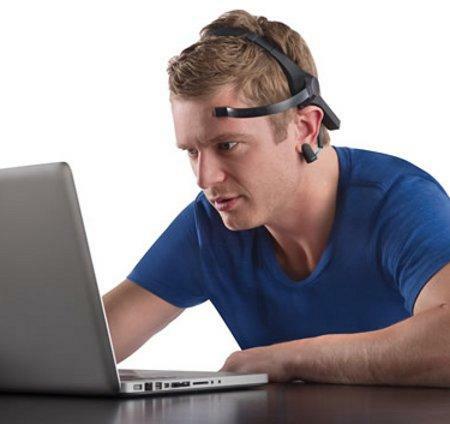 The Mind Controlled Movie Director will play nice with Windows 7, Vista, XP, Mac OS X 10.6.5+ operating systems, and make sure you have an AAA battery to keep the Bluetooth headset going.